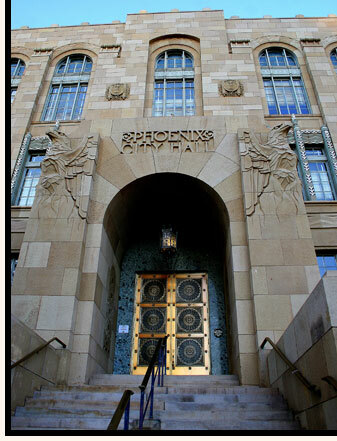 As a certified minority-owned law firm, diversity is a core value at our firm. Embracing different ideas and welcoming diverse backgrounds is critical to our success, our community, and our profession. Indeed, we embrace the innumerable benefits and contributions that flow from a diverse set of perspectives, backgrounds, cultures, and life experiences. Our commitment to diversity and inclusion creates an environment that makes our law firm a great place to work and do business. 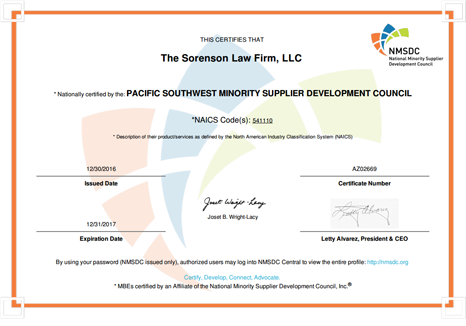 We are certified as a Minority Business Enterprise as defined by the National Minority Supplier Development Council, Inc. and as adopted by the Pacific Southwest Minority Supplier Development Council.